Feb. 14 is Valentine’s Day, which we have celebrated as a day of romance for more than 600 years. Feb. 14 is also the feast day of St. Valentine, the patron saint of love and happy marriages. The two are consistent with each other. The human person is meant to be social; this is a pillar of Catholic social teaching. Men and women were born to be in community, which manifests itself in many forms, including marriage. Especially marriage. Marriage is the central social institution, which must be supported and strengthened, not undermined. A marriage is between two people. Bluntly speaking, you could describe it as a contract between two people. The “plus sign” in the equation 1 + 1 = 2. In the Catholic Church, marriage is more than a contract; it is a sacrament, a special covenant formed when a man and a woman commit to each other for a lifelong union. In a sacramental marriage, it’s not as simple as one person and one person connected like a plus sign. It is a special relationship called holy matrimony where 1 + 1 = 3: A covenantal relationship where the difference between 1 + 1 = 2 and 1 + 1 = 3 is the presence of the Holy Spirit. Everything is connected, and “this invites us to develop a spirituality of community which flows from the mystery of the Trinity” and is strengthened by welcoming the presence of the Spirit. While marriage remains the central social institution, the church understands that any institution may falter because it is made up of humans who are imperfect. It is because of our imperfections that we must strive to support and strengthen marriages. In doing so, we are providing an environment where each spouse can make a sincere gift of himself or herself to their spouse. Because we are a people of life and for life, we must “make it possible to appreciate and achieve the deepest and most authentic meaning of life: namely, that of being a gift which is fully realized in the giving of self,” wrote St. John Paul II. Self-gift is love, an essential ingredient in any happy marriage. How can we support and strengthen our marriages? The Archdiocese of Portland Office of Marriage and Family Life provides resources for just this call. There you can find ideas for marriages old and new, struggling marriages and stagnant marriages. One simple way to grow in your marriage is to gather in your home with a few couples and form a small group. As we approach Lent, this is the perfect time to form a community to eat, pray and share life together. Why? Because we are made for relationship, made to live in a communion of love. Pope Francis wrote, “Young love needs to keep dancing toward the future with immense hope.” This Valentine’s Day, take the time to stop, reflect and celebrate the love of your life with the romantic gestures of chocolate, dinner and roses. Then as you “dance toward the future,” offer a prayer to St. Valentine for love and happy marriages. What can be better than young love? Old love that has weathered life’s trials. 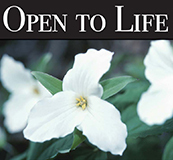 Cato is director of the Office of Life, Justice and Peace for the Archdiocese of Portland. Fr. Libra, pastor of St. Rose of Lima Parish, is director of pro-life activities in the archdiocese.